In this class you will create blocks that are made together with the second block being the inverse of the first! Sister blocks are two of the same block within a quilt that makes a visually interesting design when arranged within the sampler setting. 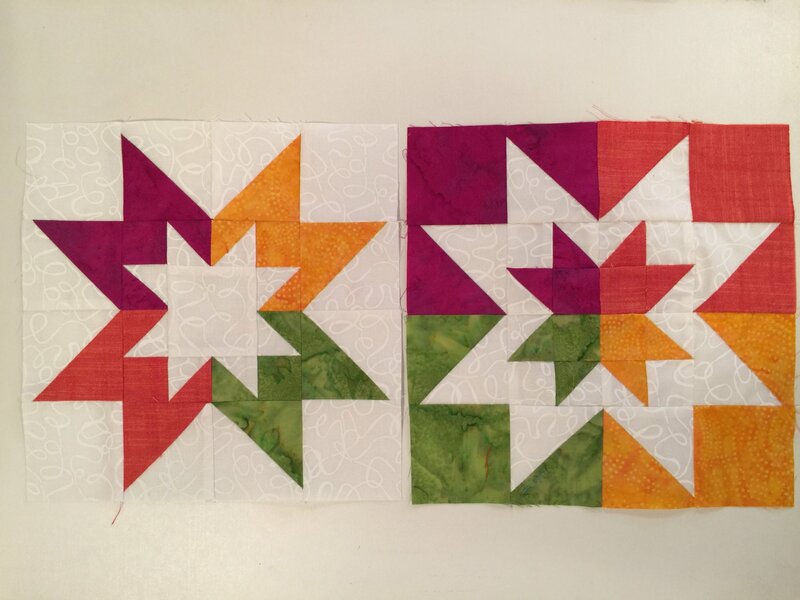 We will cover scant quarter inch, half square and quarter square triangles, two types of flying geese and more! This is a great class for all! Click here for supply list.